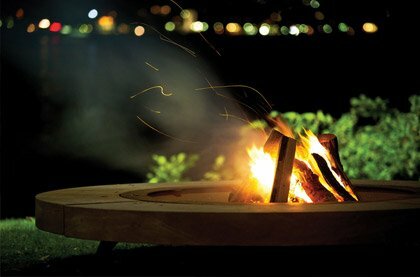 Firepits provide 360° views of the fire inside and once lit will not only provide warmth, but a sense of wellness and happiness as you watch the dancing flames from within the firepit long into the night. 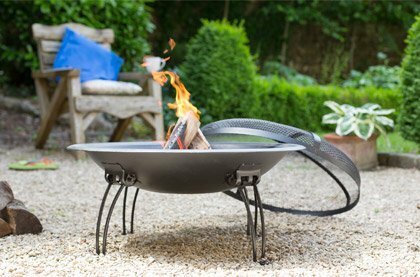 Firepits are made from various materials including, steel, cast-iron, clay and corten oxidised steel our selection of firepits from various manufacturers across the world bring light and warmth to a chilly summers evening. According to ancient Greek myth, fire was a gift given to humanity by Prometheus, stolen from Olympus itself. Whatever the origins of fire, we have designed various vessels and copious containers for it ever since, struggling to wrestle with its raw beauty and awesome power. Firepits and firebowls are just two such methods. 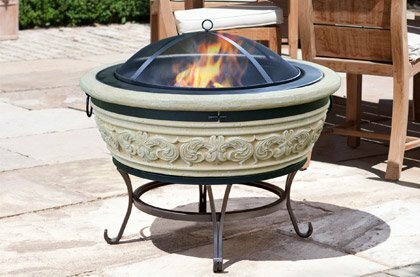 Braziers and fire bowls differ from firepits in that they allow the passage of air through the fire and from underneath, resulting in a faster more intense burn. 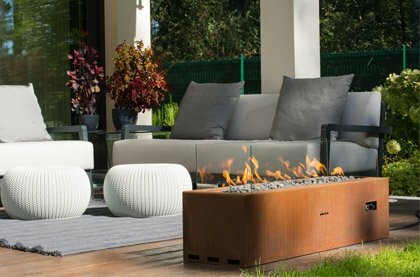 Typically made from steel, choose from traditional to contemporary styles and revolutionise your outdoor space, creating an instant centrepiece around which you and your loved ones can gather. 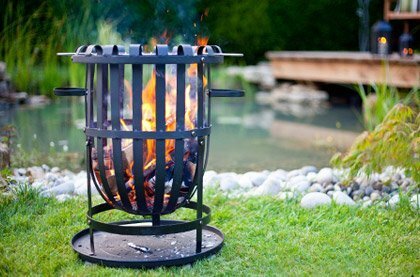 If the selection is too broad for your needs or requirements, try using our filters to narrow your search criteria at the side of this page, so you can easily find the firepit that’s right for you.